You just need to take the subway and walk a few avenue blocks. Or, for far less hassle than getting to your friend’s show in that part of the city on a weekend subway schedule, you can see these treasures and more from China’s cultural heritage that typically are not seen in museums and galleries at Artexpo New York at Pier 94 along the Hudson River. Huayuan Art, an offshoot of an organization founded 23 years ago in Gansu, China and devoted to the cultural development of Northwest China brings to the fair elaborate replicas of the Silk Road Buddhist murals and a live demonstration of Suzhou’s silk craft. 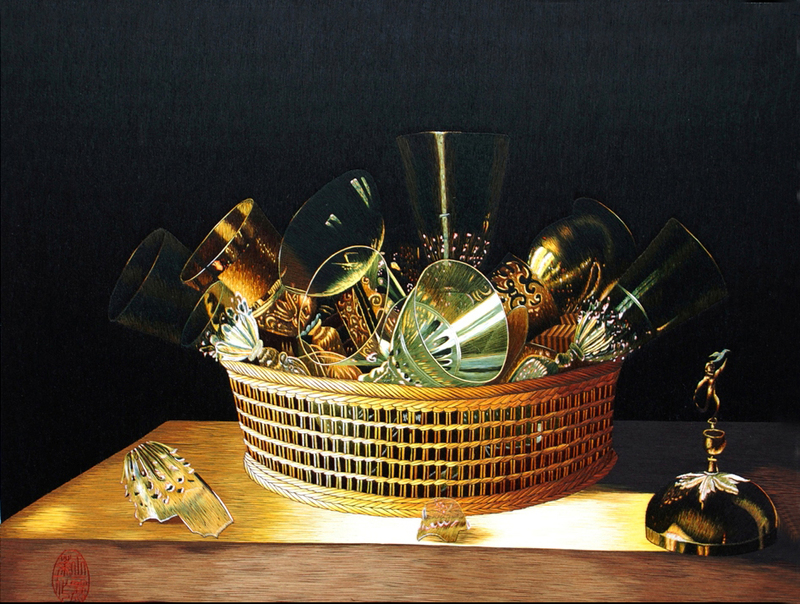 Additionally, Huayuan will display other created through specialized craftmanship: lacquer paintings, Nepali Thangkas, multi-layered paper cuttings and traditional Chinese paintings. The replicas also show the lacquer painting techniques which are typically associated with Chinese and Japanese lacquerware. In one highlight, Acolyte Bodhisattva on the North Side of the Buddha (Mogao Cave 45, Tang Dynasty), artist Ma Ke uses natural lacquer, along with gold, silver, and other mineral pigments, to portray a standing Bodhisattva statue from the Mogao Caves with an elegant composition and lustrous finish. With a slight smile playing upon his delicate face, this bodhisattva is one of the most distinctive and oft copied images from the caves. 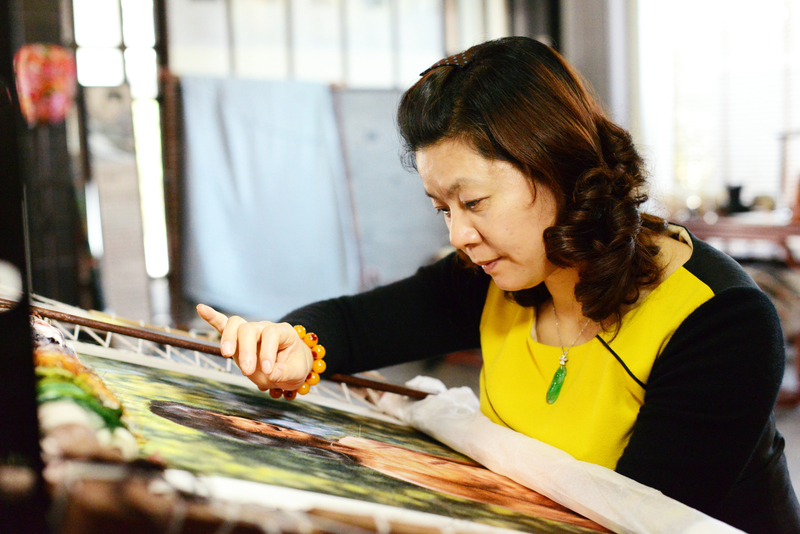 Finally, Suzhou embroidery, the most celebrated style of Chinese silk art will be showcased through the works and a live demonstration by nationally recognized master artist Wang Lihua. 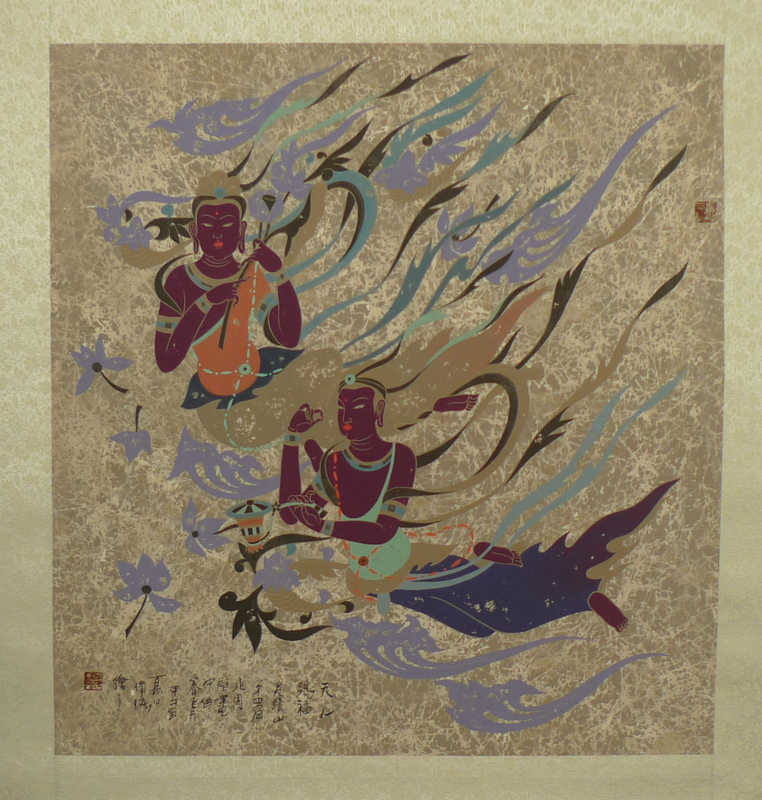 This art form is one of four main regional styles of Chinese silk art and is renowned for its use of the finest threads, elegant colors, dense stitching, and smooth finishes to create incredible detail and subtle lighting effects om stunningly realistic images reminiscent of oil paintings by the Dutch masters. While over 40 stitching techniquesand 1,000 different types of threads are used by the artisans, Wang has created her own stitching technique and visited thread factories to find suitable material for her works. 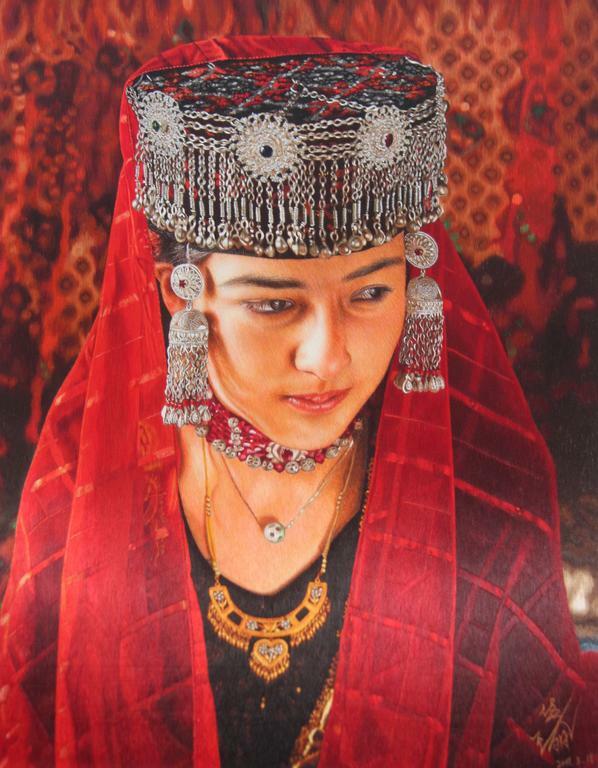 One of the highlights is Wang’s A Bride in Tashkurgan—a masterpiece that illustrates folk customs of the Tashkurgan region in western Xinjiang. This piece epitomizes the delicate design, meticulous stitching, and artistic creativity distinctive of every Suzhou embroidery work. It is joined by her smaller embroidery works of photos of jade and bronzeware — a subject that Wang is especially famous for. 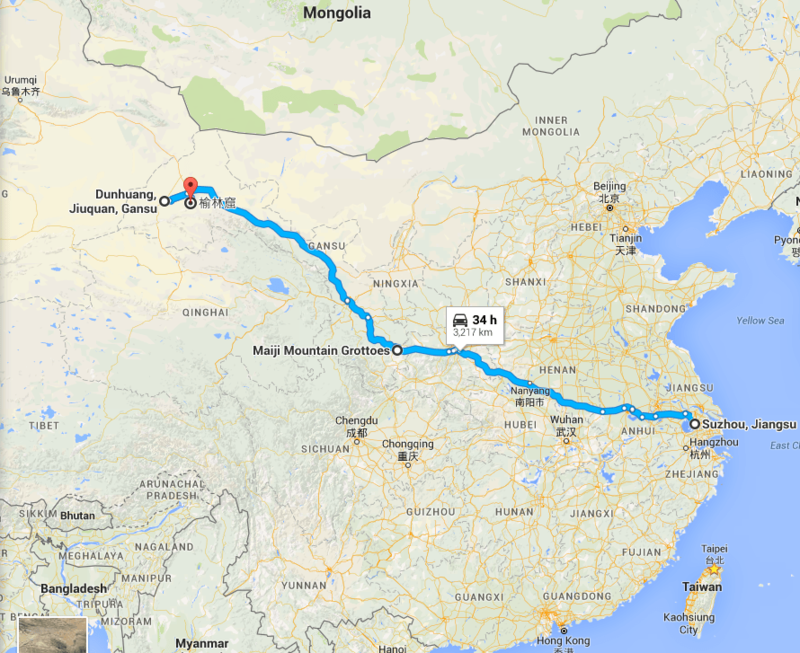 After seeing the works at Huayuan’s booths, we’ll probably want head out to China next weekend. See you at the airport. You can see more images from Huayuan at their official site and Twitter and Instagram feeds.